Our boutique style rooms offer you a very comfortable and luxurios nights stay at a very reasonable price. We invite you to come and stay with us and make the most of the local area. A delicious cooked breakfast will be served with a choice of mueslis, yoghurts and fresh fruit. Within easy reach of London Stansted and Chelmsford, this is the nearest accommodation to Leez Priory (just a mile away) and Felsted School and a perfect oportunity for you to relax and take in the quiet beautiful countryside. Each room is £70 a night and breakfast is £10 per person. Bookings can be made by clicking on the booking system below. Each of our rooms has been uniquely styled to a very high standard by my sister Alice. They all have a secure separate entrance meaning you can come and go at your leisure. The King/Twin rooms can be either double occupancy (King) or twin occupancy (Twin). Please specify this when choosing the number of people during the booking process. Unfortunately, we do not accommodate pets at the moment. 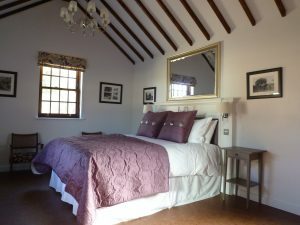 The Compasses is very popular with cyclists and our twin room is perfect for relaxing after a hard day in the saddle or in the pub! 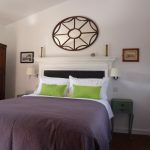 It has a laid-back feel, perfect for reading a book and whiling away the hours, and the very comfortable single beds are complemented by old prints of Triumph bicycles. For cyclists, we have a covered secure bike shed as well as offering help with any minor mechanical problems you may have. All rooms have shower ensuite, LED Freeview HD TVs and tea & coffee making facilities. A beautiful spacious room with vaulted ceiling and a double aspect. Superb furnishings complemented by old photos of the pub and other local scenes. Our largest room has been designed to be accesible for those with mobility, hearing or sight issues. The bathroom is Doc M compliant and is fitted with 2 emergency alarm pull cords that are connected to the pub. This room has been decorated in a French Regal style set off with a beautifully carved wooden headboard and chandeliers. The bathroom is spacious with a dual head rainwater shower and a walnut vanity top made by a local craftsman. 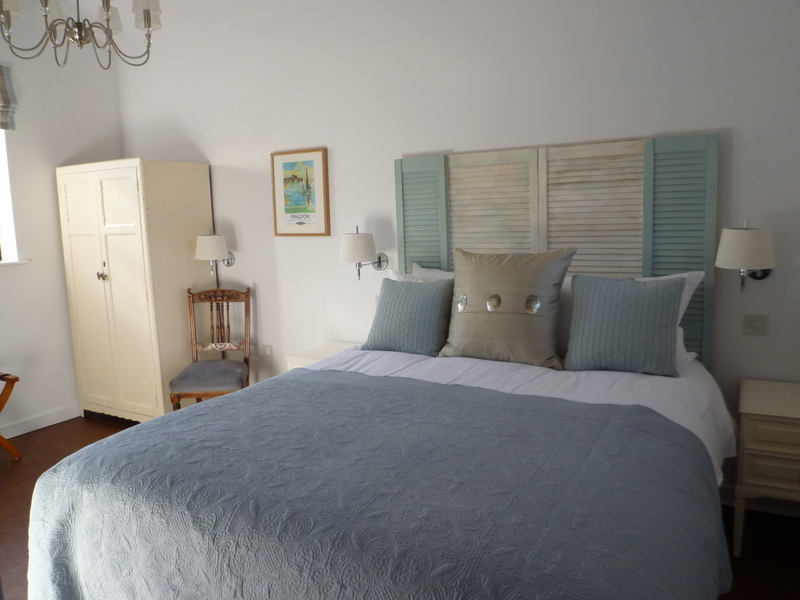 This room has a breezy seaside feel to it with light pastel colours and reclaimed shabby chic furniture. The walls have been decorated with old tourist prints of Essex giving it a real holiday feeling. The room is large enough to fit a third bed or carry cot and is ideal for a small, young family. A very original room which has been decorated with a reclaimed fire surround as a headboard and a stunning mirror to set it off. Vintage photos of the pub adorn the walls recreating a time gone feel but with all the modern luxuries you would expect.